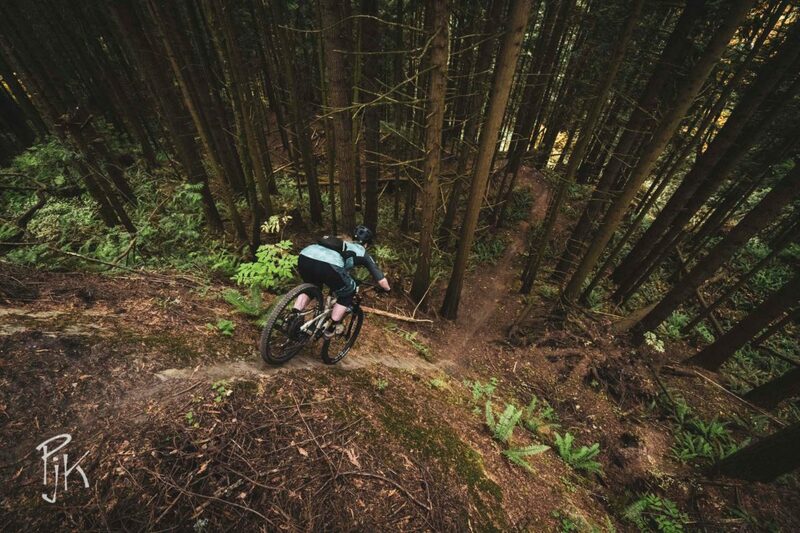 Growing up in one of Oregon’s finest outdoor recreation towns, Hood River, pro enduro rider Hannah Bergemann had a solid warmup to dirt riding. She started riding trails with her dad, who gifted her a 2012 Ellsworth Moment when she was in high school so they could enjoy the forest together. She has since enrolled in college at Western Washington University in Bellingham, where she is working toward a degree in kinesiology. In the future, she hopes to take this knowledge toward a career in physical therapy, but for now, she is reveling in the learning process. 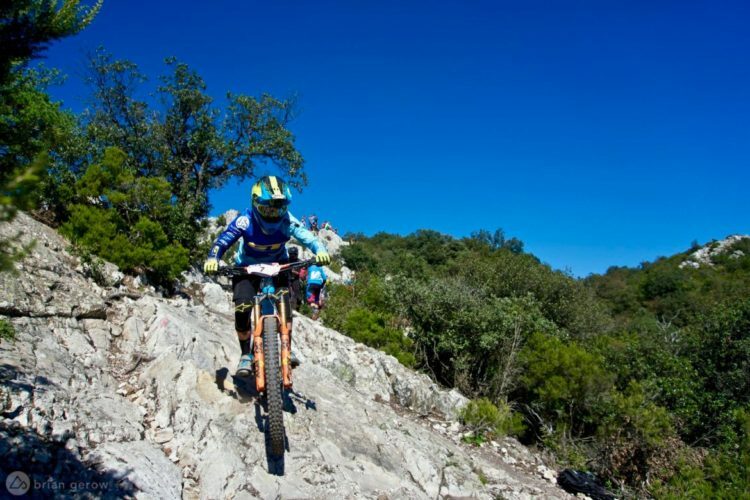 We recently had a chance to catch up with Bergemann, and asked a few questions about her path toward enduro racing, and what she has planned for the coming race season. My first curiosity when talking with the young Pacific Northwest enduro star was around her path toward elite racing. Bergemman had a particularly well-supported trajectory. It all started with her dad’s hand-me-down Ellsworth and a fun gravity race in her home state. Bergemann knew that wherever she ended up at college, it would be important to be close to singletrack. 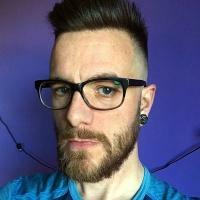 Eventually, getting to know the folks at Kona Bike Shop led to an easy transition and Bergemann started working there. 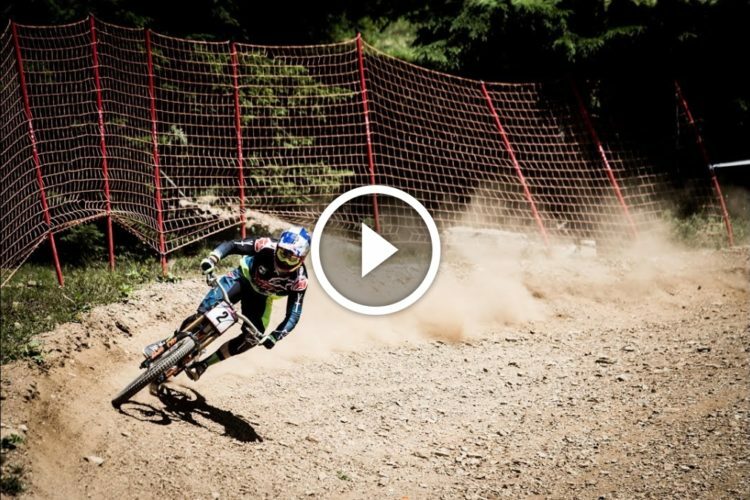 Bergemann has a clear and grounded approach to mountain biking. 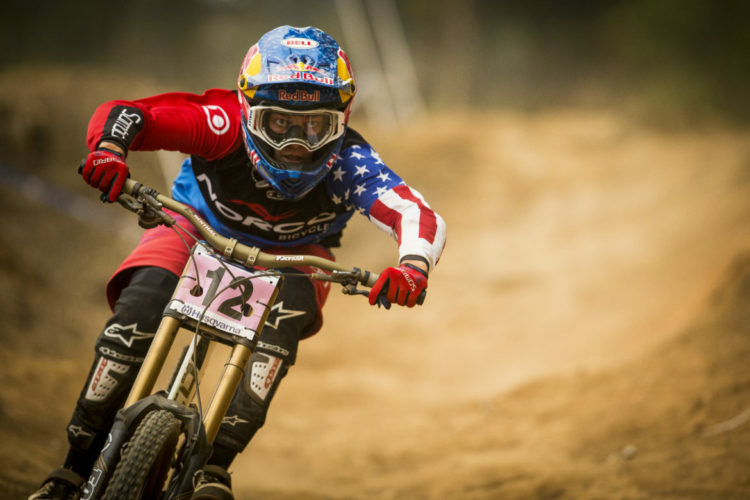 She knows what drove her to the trails, and why she thinks about riding while sitting in class. 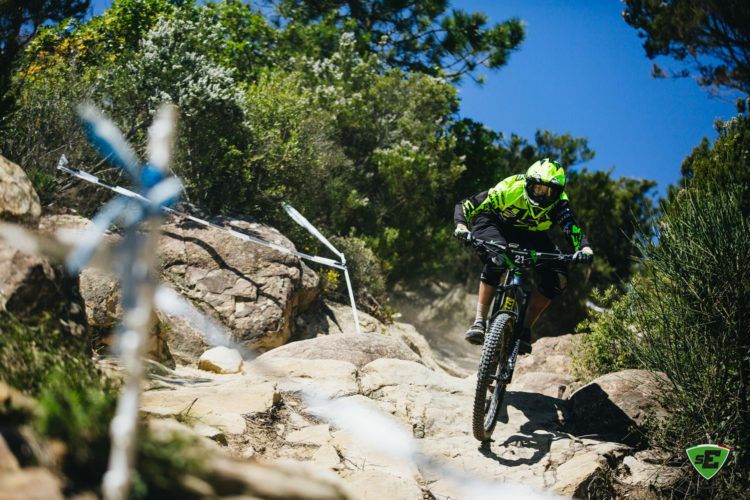 The relationships formed through mountain biking are also imperative to Bergemann. 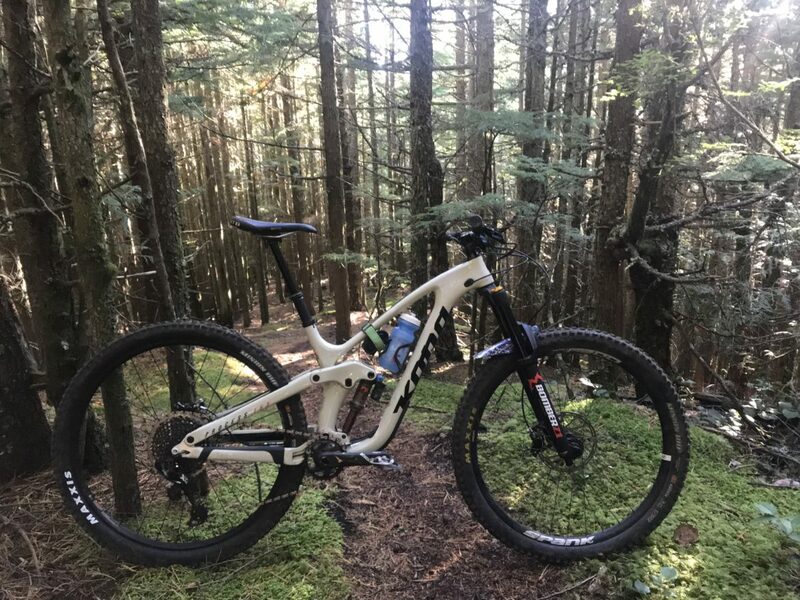 Since that early race in Ashland, Bergemann has entered countless events, including the 6th stop on the 2018 Enduro World Series tour, in Whistler, BC. Kona Communications Manager, Lacy Kemp noted how important having Bergemann on the Kona gravity team is, and how it’ll most likely be one of the strongest female teams in the sport, with Bergemann racing beside new addition Miranda Miller. 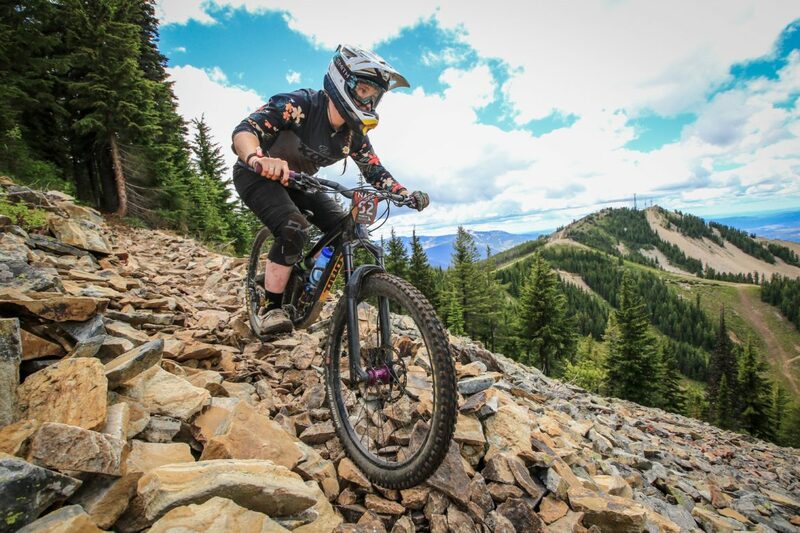 Even though she has a long list of demanding races this summer, Bergemann is most excited to race the Trans BC Enduro with her dad, who will be the oldest racer this year. The six-day enduro will be their first multi-day race together. 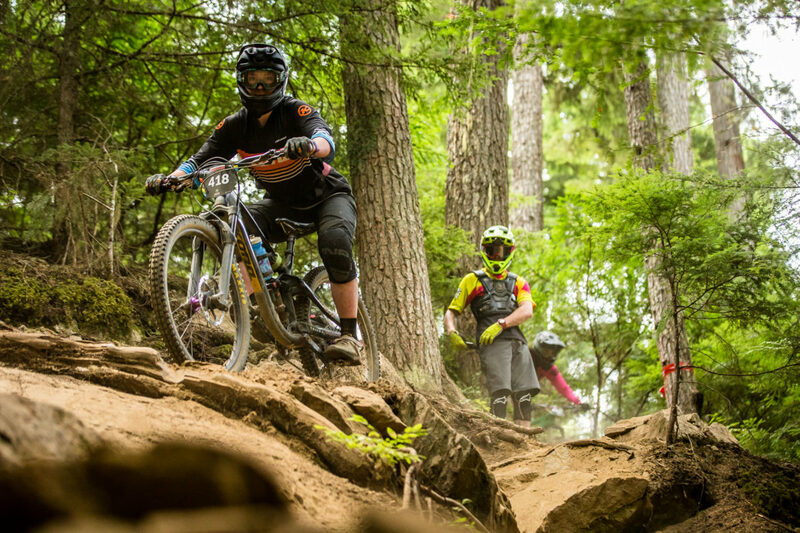 Bergemann took the win at the prestigious Cascade Dirt Cup last season and her goals for 2019 show her continued focus on being a well-rounded rider and member of her community. Even though Bergemann is taking on a full schedule, she also wants to make time to give back to the trails. On the topic of community, I asked Bergemann which companies she sees supporting women in the sport. 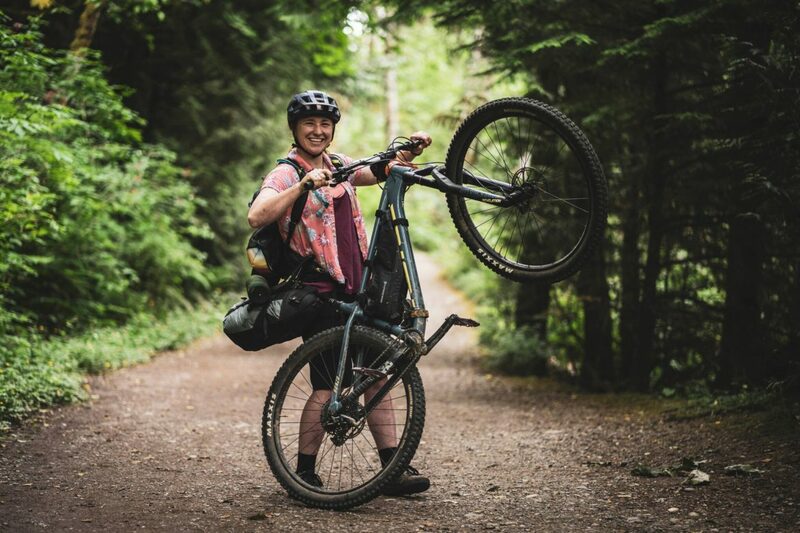 With the support from Kona and a few of her other sponsors, Bergemann had an opportunity last year to take out a group of women who had never bikepacked before. 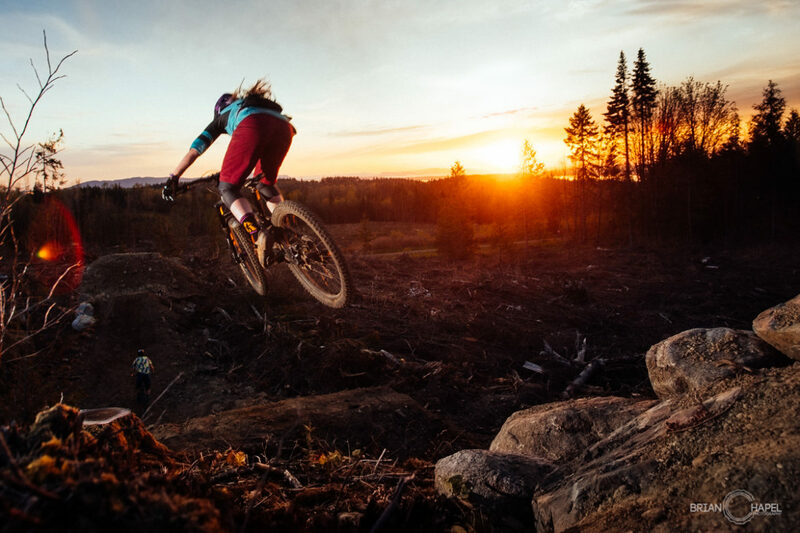 Given her interest in trail building and advocacy, I assumed Bergemann would have some thoughts on the current state of mountain biking in the US. 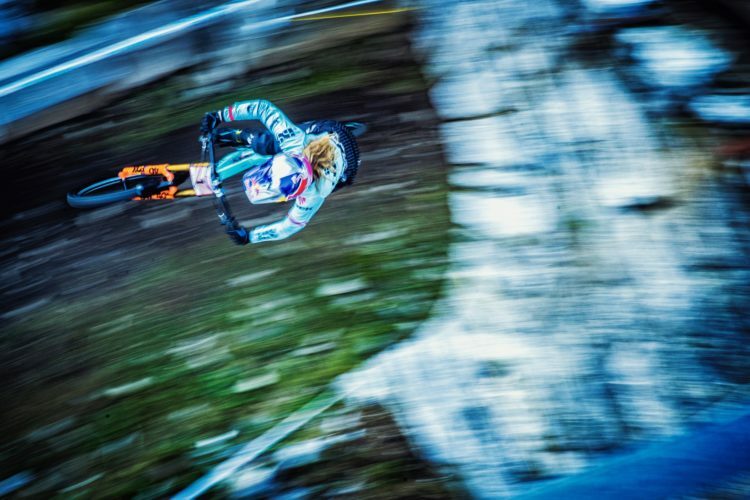 I have seen enough videos of Bergemann shredding to know that she employs a playful style on the bike. She has a unique perspective for dealing with “off days” that has likely contributed to her creative use of the trail. Unlike some professional athletes, Bergemann is no one-trick pony. She enjoys all sorts of riding and mixes in a few other hobbies for good measure. In the winter time, skiing is a must. 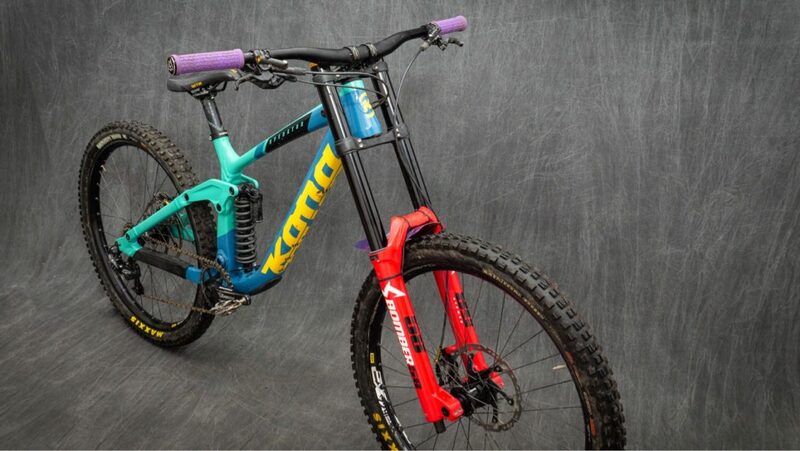 Now let’s have a look at the race bikes Bergemann will pilot through those adventures. Hannah is stoked to have some local Pacific Northwest sponsorships this season, in addition to larger brand support. Suspension: 2019 Marzocchi Bomber Z1 Fork with 170mm travel, and a choice of Fox Float DPX2 or the new Marzocchi Bomber CR Coil shock. Follow along with Bergemann’s season on her Instagram, and on the team’s COG Kona World blog. This season the Kona Supremes women’s team will become a mixed-gender squad, renamed Kona Gravity Team. 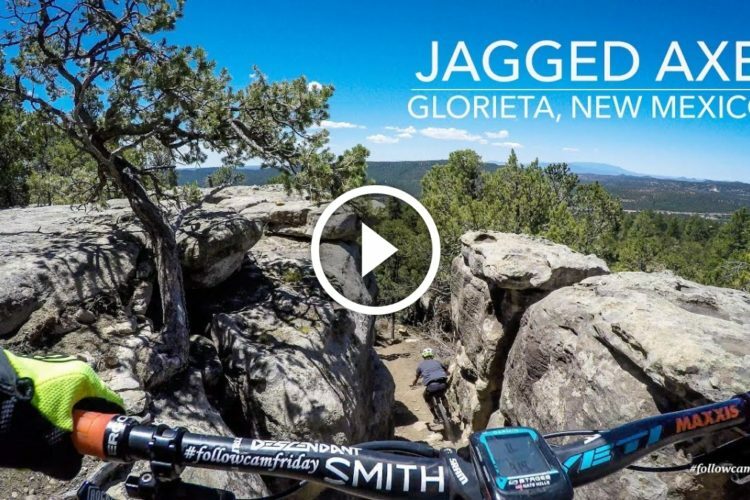 Watch: "Jagged Axe" = Most Intimidating Name for an Enduro Race Stage?